March 27, 2019, 5:01 p.m.
By Laura Hazard Owen @laurahazardowen March 27, 2019, 5:01 p.m. In a crowdfunding campaign launched late last year, the beloved-in-some-circles Dutch “unbreaking news” site De Correspondent — which relies almost entirely on revenue from readers and is ad-free — raised $2.5 million for what was widely believed to be a “move to the U.S.” The campaign, headquartered in New York, used “ambassadors” like Jay Rosen, Nate Silver, Baratunde Thurston, Judd Apatow, DeRay Mckesson, Roseanne Cash, Esther Perel, and Alan Rusbridger to help get out the word about the fundraising, and ultimately hit its goal after Jay Rosen appeared on The Daily Show to talk about it. The first English-language pieces on The Correspondent, as the English-language site will be known, will start running on September 30, 2019. 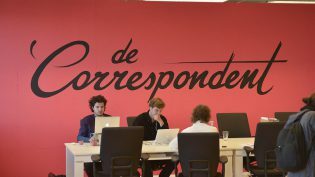 To some of those who donated to The Correspondent’s expansion expecting a U.S.-based newsroom, this was surprising and bewildering news that made the company’s fundraising campaign seem disingenuous — especially when The Correspondent has put so much emphasis on trust with its member base. For others — including, obviously, The Correspondent’s leadership — all the emphasis on location is misguided, and it’s not as if New York really needs another media company headquarters anyway. There’ll be U.S. correspondents, and they don’t need to cluster in an office in Manhattan. “I think it’s understandable why people had the impression that there would be a U.S. headquarters, because some of the signaling that The Correspondent did, especially earlier in 2017, first half of 2018, was suggesting that,” said Rosen, the NYU professor who has advised The Correspondent and who wrote about his support of it for Nieman Lab. “So that’s not anyone’s fault but The Correspondent’s, because there was talk about a New York base and a tendency to conflate moving to the U.S. with expanding to the English language. During the campaign, we were fairly disciplined in what we said about expanding to the English-language world, but that was only a month, November 14 to December 14. And there had been a lot of indications before that that a U.S. headquarters was in the deal.” He noted, however, that there were other considerations in play, and that the advantages of a distributed model won out. Pfauth and Correspondent editor-in-chief Rob Wijnberg have been quick to respond to queries on Twitter, but for a fuller view, I spoke with Wijnberg about his take on the messaging, how much it matters where your office is, and whether The Correspondent will be giving disappointed supporters their money back, among other things. Our conversation is below. Laura Hazard Owen: It seems as if people are confused and some people are upset, so I wanted to just reach out to you and find out what’s going on and if, in your view, there’s been an actual change since the fundraising campaign. Or do you think it’s more an instance of people not understanding messaging, or a mixture of both, about the U.S. expansion? Rob Wijnberg: Um, it’s a mix of both, and obviously if there’s confusion, then we could have done better. I said this on Twitter on several occasions, so I’m not saying we were right or were wrong and these people are misguided or whatever. But basically, what the difficulty is — we have always said we’re expanding to the English language. That was our idea that we tried to emphasize in every interview we did, in every communication we did ourselves, in our FAQ on our campaign site: We’re setting up in English language, and we’re going to hire U.S.-based journalists as well. We’ve never really talked about setting up an office, because we didn’t know: Do you need an office somewhere? Where do we want this office to be? We talked about this question a lot, but we didn’t say “we’re going to set up an office here.” Because why would — we didn’t even think that was of any interest, because we always said we wanted to hire correspondents all over the world, including in the U.S., and bring this model of journalism. And the question of where your office would be is a very different question. We didn’t really think about it. But obviously, in interviews, ambassadors are saying “they’re in the U.S. now” — which is true, because we campaigned for our platform from New York. The reason we campaigned there is because we collaborated with Jay Rosen, who’s a big inspiration to our journalism model. He was one of our main ambassadors — he was one of our first ambassadors. We also collaborated with Blue State Digital, the campaign agency that has an office in New York, so that’s why Ernst [Pfauth] and I were in New York most of the time. So it got interpreted by a lot of media who wrote about us as, “They’re launching in the U.S.” Which is pretty much 80 percent true, in the sense that we are going to have English-language correspondents in the U.S. — just not only in the U.S. And we never promised — or never said, because that’s not our model — to have, to cover the United States or anything. We’re not a geographically oriented journalism platform. We cover beats, which are fundamental developments that shape our world, and we try to focus on transnational developments. This has been in our FAQ all along, from the start of our campaign. We want to have correspondents; they can be everywhere, depending on their beat — in the U.S., or in Bangladesh, or in wherever is appropriate. But things get lost in translation, because we were campaigning from New York and obviously a lot of our ambassadors were American, so that’s where the confusion come from. Here’s the summary: I can understand some people, if you got parts of our messaging, or you heard about us in other media, or you heard about us through a specific ambassador who may not have been completely clear on our messaging — then I can get why people might get the impression, “Okay, they’re opening up a U.S. office,” or something like that. But in reality, if you saw all of our messaging as a whole, it would have been clear to you that what we were saying was: We’re going to have correspondents in the U.S., and the way we organize our support and staff we’ll still have to figure out. Owen: Okay. It looks as if you guys were hiring at one point for a managing editor in New York, there was a posting for that. When did that change? Wijnberg: Yes. We did, and we even had job interviews. And then we found a great candidate, actually, but realized that — well, two difficulties. First was, this is an editorial role that was hard to fill, because we didn’t know if we would exist yet. We had the role, the vacancy, online, the job opening, before we even knew if we were going to make our crowdfunding goal. Because the crowdfunding hadn’t started yet. That was one difficulty we experienced, because we had to say: Here’s the thing, we could fill this role right now, but it also might end in December, right? Because we weren’t sure if we were going to actually make our crowdfunding goal. So that was one of the main reasons why we decided to say, let’s postpone this role. We know we want to have this role, but let’s postpone this role until after we know for sure if we make our crowdfunding goal. Because if we hire someone for this role and we don’t make our crowdfunding goal, then this job would end. We changed our minds not based on location. We changed our minds because we realized we shouldn’t hire editorial roles, we shouldn’t have non-campaign staff hired, before we know we actually can exist. That was the reasoning. Owen: Okay — and then after you realized you had reached the crowdfunding goal, you had a good candidate in New York, but you just decided not to go ahead with it? Wijnberg: Yeah, so then, after we reached our crowdfunding goal, we re-evaluated the whole premise. Because after the crowdfunding, that was the first time we knew where our members were based. So approximately only half of our members — our new members, after the crowdfunding — are U.S.-based. So that also played into our ongoing discussion of, like, where do we build our supporting newsrooms? There was never a discussion whether to have English-speaking journalists also in the U.S. — that was the premise, we knew we had to have journalists based there, because like half of our membership is there. The other half isn’t. So that also, in turn, made us reevaluate the question of where to locate and build our newsroom. There were other reasons in play as well. As we explained in the piece we published, one example was that because we want to build everything, all the experience and talent and knowledge that we already have here, instead of copying ourselves and kind of starting from scratch. That was one crucial factor, alongside the company culture. But these are all things that you kind of learn by doing. So we might have mistakenly said different things at different times, but there was never a conscious, like, “we’re acting like we’re setting this up here and now we changed our minds.” No. To us, we’ve always been open about the questions we didn’t answer yet and stuck to and still have the same answers to the questions we did answer. Owen: You said about half the new members after the crowdfunding campaign are U.S.-based. Did most of the rest of them come from, like, one single other country, or is it that half are from the U.S. and various smaller percentages are from other countries? Wijnberg: Less than half — I think it’s like 40 percent, something like that — are from the U.S. And a similar chunk of members is from the Netherlands, which is obvious, of course, because the other part of our campaign was in our own country, and a lot of supporters of the English version, of course, are actually Dutch members, also. So that’s another part. Then the rest — let’s say 20, 25 percent — is from all countries all over the world. So the total number of countries is a little over 130. We have members from 130-plus countries. But the biggest chunk of those are either U.S. or Dutch. Which sounds about right, because that was where our campaigns focused most, because our networks are best in those two countries. A substantial group is also from London because we had some famous ambassadors like Alan Rusbridger, former editor of The Guardian. So that helped us get some traction in London as well. But we’ve got most press attention in the U.S., especially after The Daily Show, obviously. Owen: So I definitely understand that this was present all along in the messaging, and I can see it in your Reddit AMA and things like that. But I guess I’m wondering if it’s reasonable to expect people who were funding this — based on seeing, like, a tweet from a famous person they trust — to have looked at all of that other messaging as well. How reasonable do you think it is to expect people to have understood all of that from the beginning? It doesn’t seem as if it was that clear. Wijnberg: [laughs] I sincerely don’t know how to answer that question. If people are confused, that’s something we want to help solve. If people have any questions, or if they feel like they thought they were subscribing to something different than they now understand it to be, we would like to explain why. There’s no guilt — it’s our responsibility to get the messaging as it should be, but obviously, there’s room for interpretation always. So I don’t know, I can’t answer that, probably, except that obviously members who support you, in a sense, are never wrong. It’s our responsibility to respond, and if people feel — if they’re disappointed and they feel they don’t want to support it anymore — then that’s absolutely their right to do so. But we have tried to be open and honest about it from the start. Keep in mind that, especially in a campaign like this, tons of people talk about what we’re trying to do. So the idea that you can keep all these people on message all the time would be kind of totalitarian, right? We had hundreds of ambassadors spreading the word about us. If some of them said “They’re coming to the U.S.,” we couldn’t corner every one of them and say “No, no, we’re expanding to the English language.” Because there’s freedom — there’s room for mistakes in interpretation, etc. We tried to be as clear as possible in all our communication that we would be a transnational platform covering global developments with correspondents all over the world, including the United States. But the way that this message gets covered or gets interpreted by people, especially in the United States, is, well, they’re here, they’re campaigning in New York, so they’re gonna be American. Obviously, it doesn’t help either that I’m half-American, and most of our famous ambassadors are American, our network is based in America — so obviously I can understand why people would think, okay, this is gonna be an American thing. But eventually, I think, the reason, hopefully, why they joined is because they’re going to have interesting journalism, and they’re going to support interesting journalism that is ad-free and that goes in-depth into the forces that shape our world. Whether our office is based in Amsterdam or in Bangladesh or in Cairo or in Texas, it hopefully is not the reason why they joined. Owen: That makes sense. In case, though, that it is the reason that they joined, if someone comes to you and says, “I really thought that this was going to be a site based in the U.S. and I feel like I’ve been misled and I want my money back,” would you give them their money back? Wijnberg: I mean, I can’t answer that question, generally. If people want to…no, I can’t answer that question. Owen: Okay. Is there anything else that you want to add? Wijnberg: No, not really. I don’t even see what the actual story is except for that a couple of people said “Hey, this is going on,” and we explained the reason. But I don’t really understand this exact [Nieman Lab] story that we’re participating in. Owen: I think people want to hear from you — I think it’s confusing. I think also I can understand your frustration that the messaging got sort of confused and that you had a lot of different people speaking for you. I think a lot of people here have really been rooting for this and really like you guys, and they may just be disappointed that there’s not going to be a U.S. office, at least in the near term, which they may have been hoping for. But, I mean, I would kind of prefer to run this as a Q&A with you, like as an interview, just so people can see your full side of the story. Owen: What do you think about that? Wijnberg: Um, well, that’s up to you — I’m just trying to answer the questions as honestly as possible. The only thing is — the attention that is given to the nine people who were confused on Twitter kind of becomes a bigger and bigger story because of everybody talking about it. Although what actually happened is: Some people thought we were coming to the U.S. We are coming to the U.S., because we’re going to have journalists covering important developments in the U.S. as well. The only thing we’re not having is a coffee machine and a desk in the United States. That’s the only thing we’re not having there. I can understand the confusion, but, um, I sincerely don’t really see how the confusion itself is the bigger story — do you understand what I’m saying? The only thing we said was, we decided to have supporting editors, copy editors, the image editor, me — the editor-in-chief — working from our existing office. Which means something like: This is where our desk and our coffee machine and our copy editor are. This is where the person who’s tweeting will be located. And other than that, we will have correspondents writing about international developments, just like we promised. Some of them will be in the United States, just like we promised. Some of them will be in other parts of the world, just like we promised. So the whole thing — and here’s the thing, I understand that some people might have thought, like, they’re coming to the United States, and in their heads that means you set up a newsroom, because they think the thing that really matters about journalism is where the newsroom is based. And I can understand that 12, 13, 14 people would be confused about this, and they express this on Twitter. But if you make a story out of it, then you’re kind of, how do you say this, legitimizing the confusion, or making the confusion sound true, because the idea is to make a story out of where we’re based. Do you understand what I’m saying? It’s a weird thing to respond to. Owen: I think the confusion is a legitimate story for an organization that is very focused on trust and on being very clear with its subscribers about what it’s doing. If members can never really be wrong, if people who are paying for this are sort of upset, then I do think it’s a legitimate story. Wijnberg: Oh, sure. No, no, absolutely. Absolutely. I’m totally on board with that and that’s why I answered your questions and why I’m answering every question everybody’s throwing at me. The only thing I’m saying is that it kind of matters what you think this story actually is. Like, it matters what you put in your headline. If you say “They’re not coming to the U.S.,” or something — that’s just not true. But that will be the story. So I’m not saying you can’t write a story about us — the only thing I’m saying is I’m not even sure what story I’m actually participating in or I’m answering to. Owen: If it’s up to me, I think you’re just participating in an interview with me that will just run as an interview with you. I don’t see a need to, like, pull in a lot of outside voices beyond your response, which is why I wanted to talk to you in the first place. Owen: I’m not going to sit there on Twitter asking more Twitter for comment. It’s really you I want to be speaking with. Wijnberg: Okay, then I understand. Maybe because I’ve been talking to journalists all day and the story I see in front of me is, the first line is, “They closed their office in New York,” which is not true, it kind of implies that we left or something. Anyway, that was my frustration with this whole thing. We didn’t really leave. The only thing is that we kind of decided to operate the supporting part of a newsroom from the city we were already in. POSTED March 27, 2019, 5:01 p.m.
Owen, Laura Hazard. 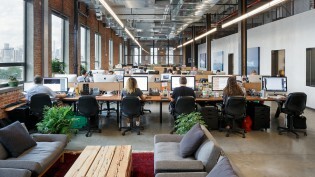 "The Correspondent’s editor-in-chief talks about what U.S. expansion means (and doesn’t — an office)." Nieman Journalism Lab. Nieman Foundation for Journalism at Harvard, 27 Mar. 2019. Web. 23 Apr. 2019. Owen, Laura Hazard. "The Correspondent’s editor-in-chief talks about what U.S. expansion means (and doesn’t — an office)." Nieman Journalism Lab. Last modified March 27, 2019. Accessed April 23, 2019. https://www.niemanlab.org/2019/03/the-correspondents-editor-in-chief-talks-about-what-u-s-expansion-means-and-doesnt-an-office/.